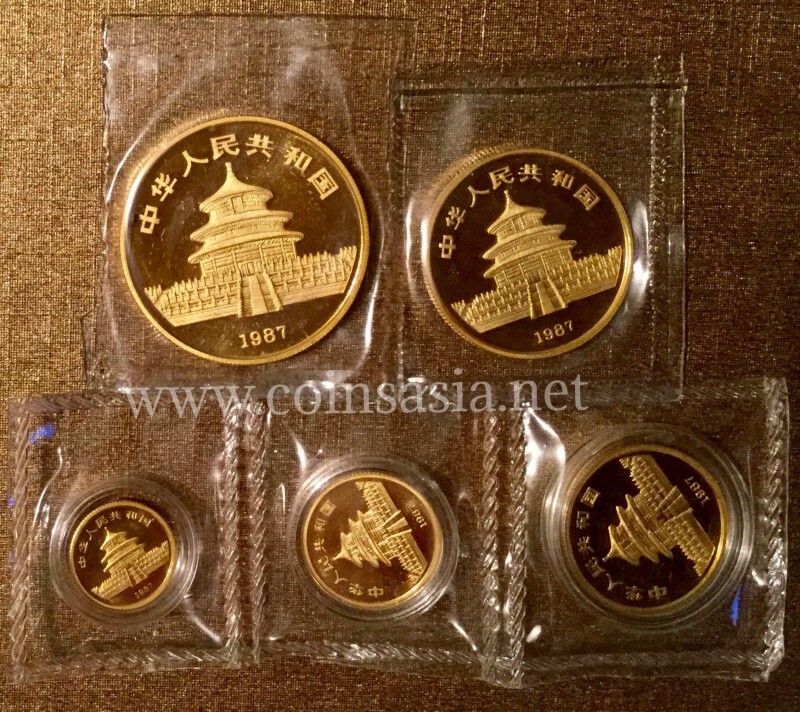 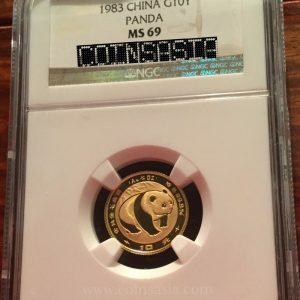 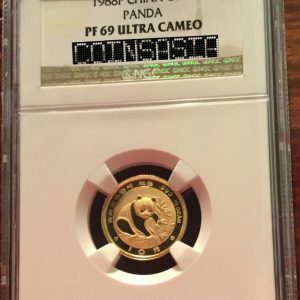 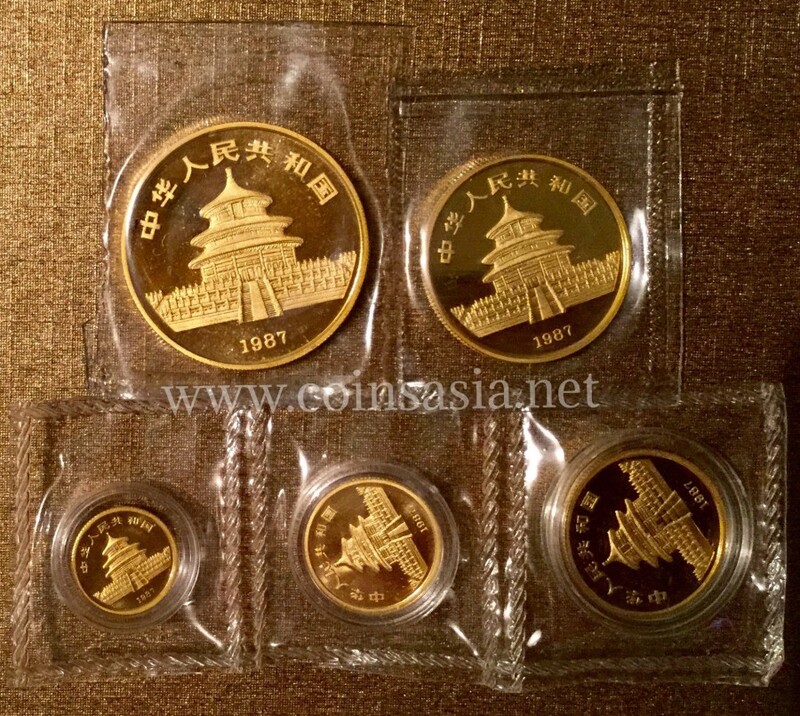 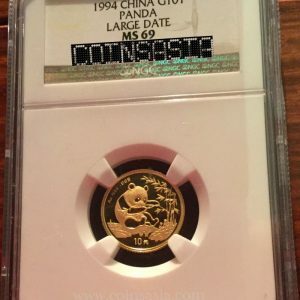 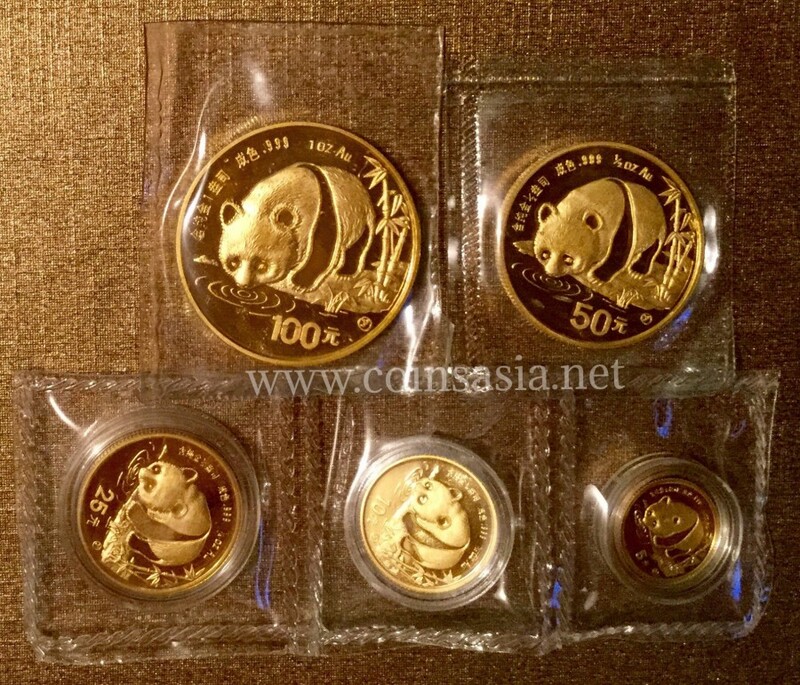 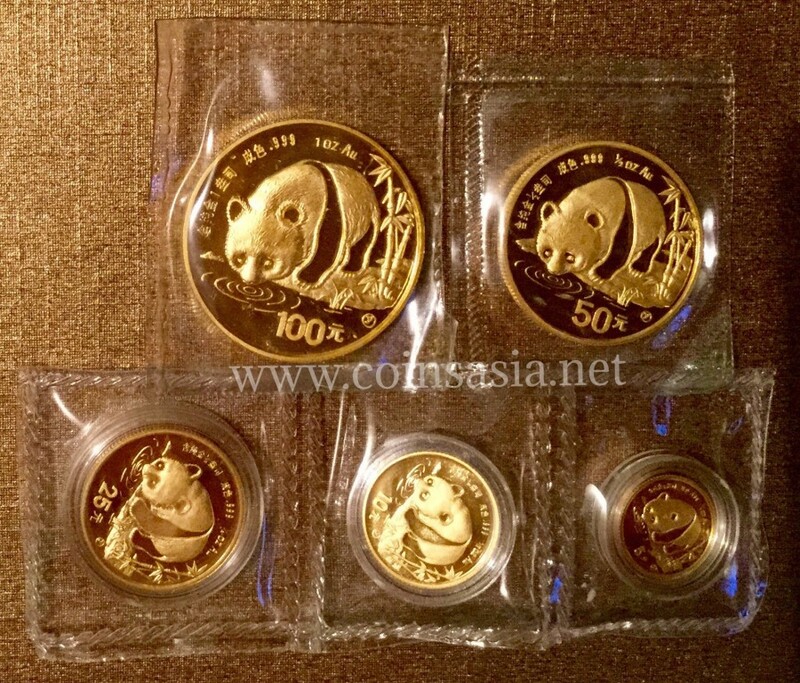 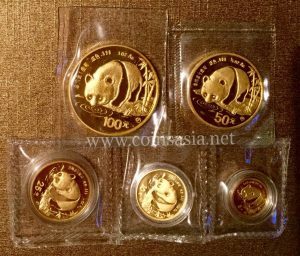 The 1987 China Gold PANDA 5-Coin Sealed Set is from the Chinese Gold Panda Series (1982-Present day) . 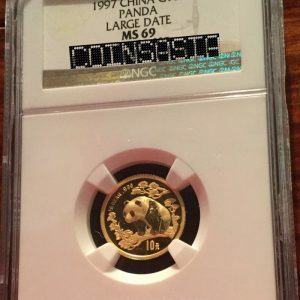 These 1987 Gold Pandas are stamped with the (Y) Shenyang mint mark. 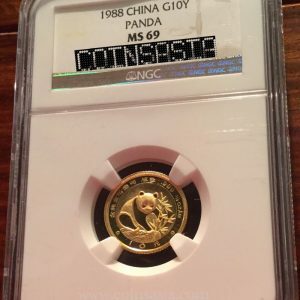 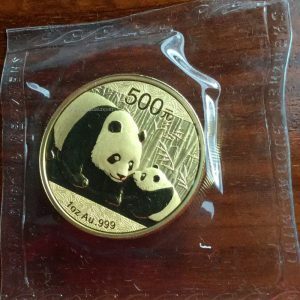 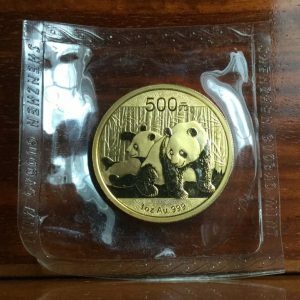 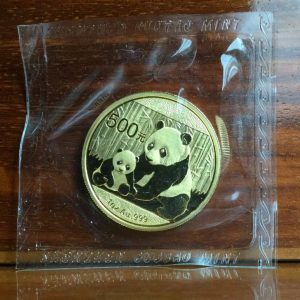 It is noted that the Shenyang mintage 1987 Gold Pandas are substantially lower than the Shanghai minted Golds.